Construction information for DIY projects, including the MS Mid Side Matrix, Elliptic Equalizer, Mastering Console, Phono Transfer System, Insert Switcher and the Dual Class-A Amplifier. You can post your baby pictures here. This is the construction thread for the "MS-II" Mid Side Matrix. Note: 24V relays are recommended when the external relay supply is >24V or when the relays are powered from the +/-15V audio supply. Remember that if you ordered THAT ICs as part of your PC board "kit" be sure to remove them from your shopping cart at Mouser before ordering. The MTC-MS-II board includes a number of new features to make MS work easier. Side levels are often significantly lower than Mid. With highly-correlated elements Mid often has "mono build-up" producing level increases of 3 to 6 dB. The MTC-MS-II addresses MS level challenges by applying Insert Gain Offset between Mid and Side. The Encoder can operate with 0, 6 and 12 dB offset between Mid and Side. When gain offset is applied in the Encoder, the Decode gain is compensated to maintain the original M/S ratio. 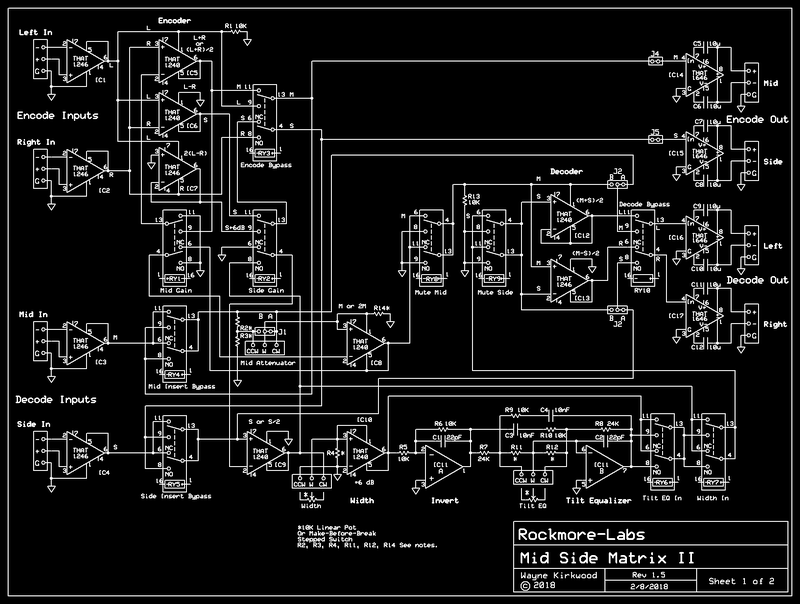 Mid Gain Offset: Reduces Mid Encode Gain by -6 dB. Mid Decode Gain is automatically increased by +6 dB to compensate. Headroom is increased by 6 dB. Side Gain Offset: Increases Side Encode Gain by +6 dB. Side Decode Gain is decreased by -6 dB. Side gain offset allows outboard gear to be driven hotter. By using Mid and Side Gain offset together, an offset up to 12 dB is available. The MTC-MS-II's Encoder can be bypassed to forward Left and Right into the Insert. By using Encode and Decode bypass together the Insert can be switched from Mid/Side to Left/Right. Mid and Side have individual Insert bypass relays. Need to compress only Mid? Bypass the Side Insert completely. Processing both Mid and Side? Bypass one at a time to hear each processes' contribution. 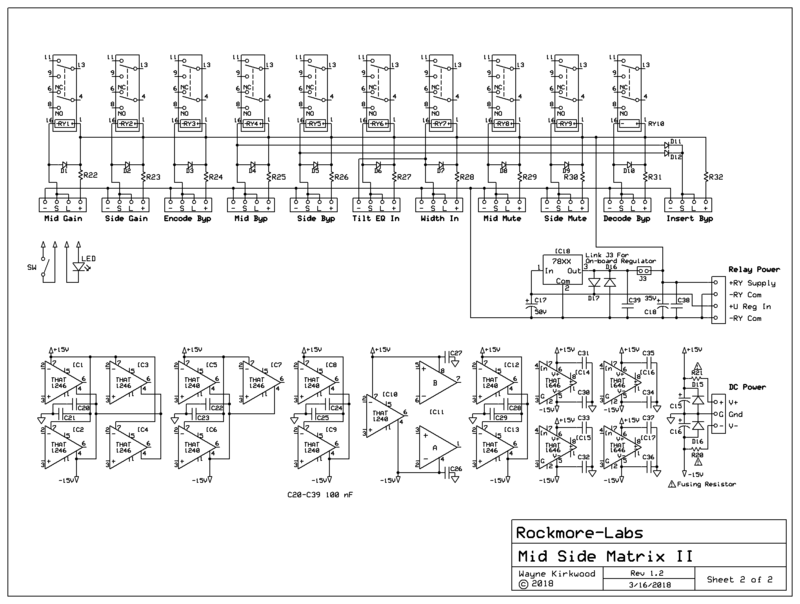 On-board relay logic is available to bypass Mid and Side Inserts simultaneously for instant A/B comparisons. The MTC-MS-II has on-board Width control ranging from 0 to 200% by varying Side Level from -∞ to +6 dB relative to an anchored unity gain Mid level. Control is smooth and predictable with a "feel" similar to the Width Controller using the LR±S method. A potentiometer or stepped make-before-break rotary switch can be used. The Width Control is relay-bypassed. 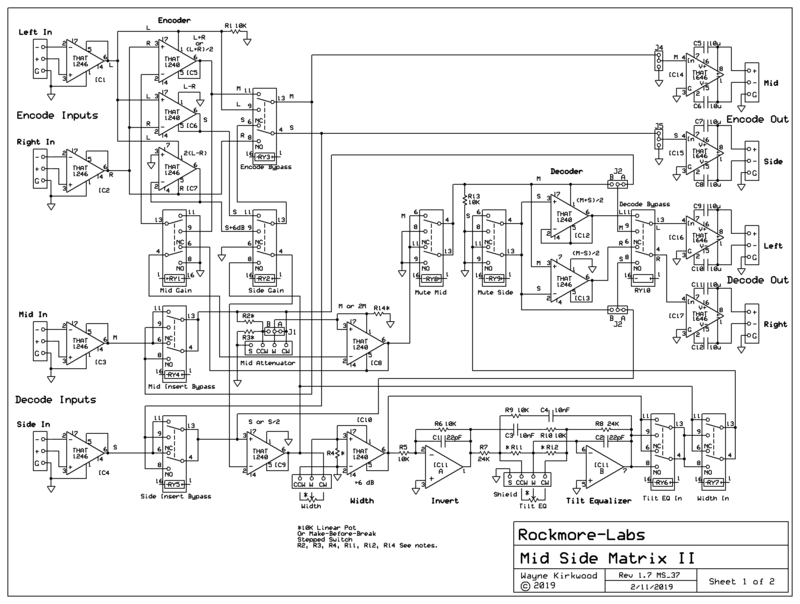 A gentle tilt equalizer can be inserted into the Side channel to provide frequency-dependent Width. The range at 10 kHz is +/-3dB. As 10 kHz is boosted, 100 Hz is decreased by an identical amount with a "pivot" frequency of 1 kHz. A 0 to 6 dB range in frequency-dependent Width is available from the 100 Hz to 10 kHz with either positive or negative slope. Width can increase with frequency or decrease with frequency. 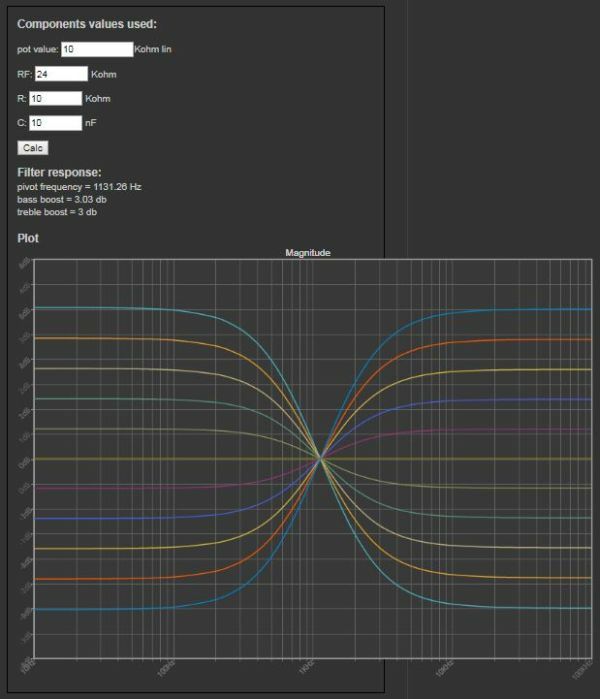 The Tilt Equalizer follows the overall Width control and is relay-bypassed. The Mid and Side channels have individual relay mutes to audition the processing of each insert. When Mid is muted, Side is presented to the Left and Right outputs in their actual perspective similar to an "in place" Solo function. The Mid and Side channel mutes are placed in the return path rather than the Insert Send to eliminate "compressor recovery" artifacts from muting sends. Mid Side encoding is well-known for Mid "build-up" on highly-correlated material. Though not fully-appreciated Mid Side decoding has additional gain build-up during Left and Right reconstruction. When M+S is added to M-S to produce "L" the actual result is 2L. The MTC-MS-II uses a combination of THAT1240 and THAT1246 line receivers to eliminate encoding and decoding headroom and level bottlenecks. By switching the THAT1240 in a unique way its gain can be varied from -6, to 0 and to +6 dB. This eliminates the requirement for additional gain or attenuation stages that would add a differential phase delay to one process path but not the other. High frequency crosstalk performance is maintained. 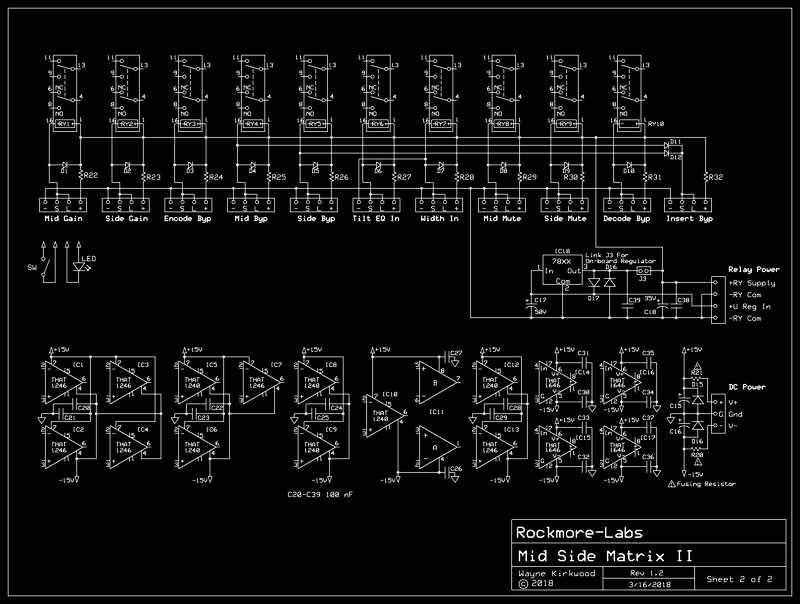 Note: Updated drawing to MS_36 layout to link Tilt Relay and LED to Width Relay. The Tilt and Width Controls for the MS-II require shielding. Mogami W2929 4 conductor shielded cable is ideal for wiring floating pots where all three wires require an overall shield. If you cannot obtain Mogami W2929 you can also harvest the wire from a high quality USB cable which is also 4C shielded. Thanks for the tip @mediatechnology! I apologize for so many initial questions regarding this build, but I was hoping you could help answer them or confirm my thoughts before I move forward. 1) In place of Mogami W2929, I have some extra quad mic/line cable (https://www.redco.com/Redco-TGS-QD.html). Can I use this instead? Would using shielded cable be a good idea for both the Tilt and Width control? Are there any other places I should use shielded cable in place of hookup wire (or something else)? 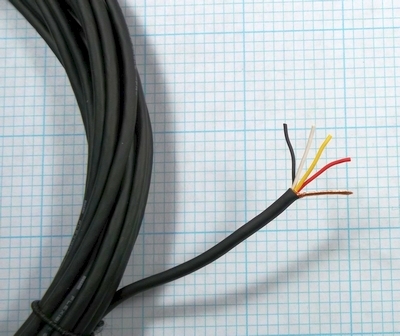 2) When connecting pots/switches to Phoenix connectors, should the conductors be the only cables to be connected (CW=in W=out CCW=Ground), while the shield is not connected? 3) To utilize the just the Width control, is anchored unity gain mid level achieved by connecting the two most left pins on J1? If I plan on not having a variable mid gain, should I also connect S and - on the opposite side connectors for mid gain as well, or is that not necessary by utilizing J1? Thank you for such a well thought out design, I am excited to use and implement it but I want to make sure I am doing so correctly! Hi Brian - Thank you for joining us here! You should be able to use quad mic cable as long as you keep track of the duplicated colors. Quad construction is not ideal but the run is relatively short. I had some, but mine was a little too big. A USB cable works well too. What I ended up doing before getting the Mogami was to use an old CD drive audio cable. Normally those are 2C+S but I had a rare 3C+S. 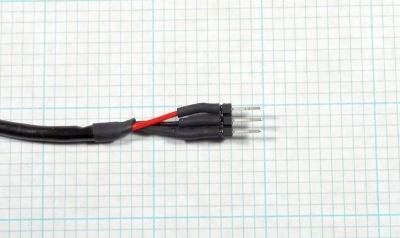 If you see any sign of instability with high-capacitance cable increase C2. I would use STP for all the audio connections. The Width control is grounded so you should use 2C+S and ground the shield at both ends to carry the grounded CCW terminal. The Tilt requires all three pins to float with an overall electrostatic shield. Ground the shield only at one end. The shield should not be connected to one of the pot's terminals. There isn't a Phoenix terminal for the shield so use "G" ground pad. Yes. My recommendation is to have an anchored Mid with no attenuation. Link J1's two left pins. You then don't have to link anything on Mid or the relays. Mid will attenuate if regardless of the state of the Width relay. If you use it and don't engage Width, Side will have +3 dB gain and the image will get wider. The Mid and Side gain offsets work independently of J1. The only time I've used Mis attenuation was with material that was very near Mono and I needed more Side gain. A fixed -3dB attenuator in Mid can be achieved by linking J1's two right pins. If Mid is attenuated then Width should be set at -3 dB for 100%. You can also install a pot or stepped switch to precisely control mid gain. R2 should be clipped open or removed. R14 should be 1M. R3 sets the minimum attenuation. For -∞ make it 0Ω. If it were me doing Mid Gain I would use a range of 0 to -3dB or 0 to -6dB. If you do use stepped switches they need to be make-before-break. Fortunately almost all Elma 24 position 15° rotary switches are make-before-break. Thank you so much for your purchase of the MSII. Keep the questions coming! I hope to continue updating the documentation and that will include external wiring. Thank you for the quick and thorough reply! I'll take your recommendation and get W2929 for the Tilt EQ, and use W2944 for Width and other audio connections. Although I am glad to hear the quad should work in short runs, I'd rather do it right. I'll also take your recommendation to use the anchored Mid with no attenuation, as it's exactly what I am looking for. Again, per your recommendation, I was in contact Mark with Elma last month and he not only guided me through the Type 04 Switch needed for the MTC-IGFO, but also the purchase of 2 CAS001535 24 position switches to handle Tilt and Width. I'm excited to use them in this build! I hope to keep the questions coming as I tackle power and case design a bit later, but look forward to the updated documentation as I continue! That makes connecting and disconnecting the Phoenix connections easier. With the 26G conductors used in the Mogami and other miniature cable you need some type of ferrule. In the case of the 4C shielded I split the grounded drain wire out to a long flying lead. I just finished my build of the MS MKII. Wayne was super supportive during the build process so i offered to share some pics of my build. Previously i built the original MS design by Wayne but wanted to upgrade due to the new functionality. I used the extra space in this case to rack up the buss buffer from an old SSL 4k and used the flip/switch board Wayne sells as the insert bypass for the buffer. Im happy to answer any questions if anyone has any. Last edited by Matty-T on Thu Jun 21, 2018 9:27 am, edited 1 time in total. Matt - I've been off the grid for a few days and, now that I'm back, wanted to tell you what a great job you did on the MSII! Did you use a trophy/sign shop to do the engraved stick-on panel markings? Note that in the first block of the calculator you can change the LF/HF boost/cut ranges. The second calculator (shown below) allows you to plug in standard values and plot the results. The Side Tilt EQ is shelving: The steepest part of the slope is in the midrange where it has the greatest effect on perceived Width.